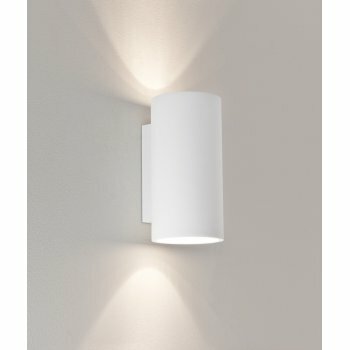 Astro Lighting Bologna 240 2 light ceramic wall fitting features a long cylindrical style shade in white ceramic finish on a white back plate. The product code for this Astro Lighting wall fitting is 7002 . A wide range of ceramic wall fitting can be viewed on our website.